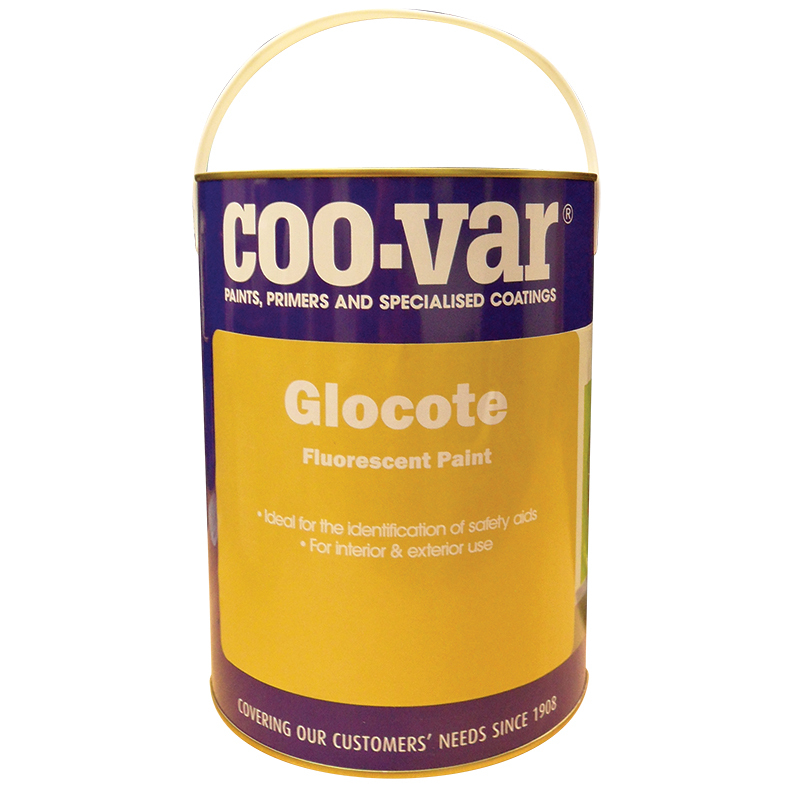 Glocote Fluorescent is a high visability coating that becomes much more visable in daylight or under lights at night. Idealy this should be used as part of a three layer system, Glocote Foundation Base, Glocoate, then Glocoate Protective Coat to maximise the fluorescent effects. Glocote Fluorescent Paint is ideal on skips, bollards, bicycles, fishing floats, ships, bridges and more to identify any hazardous object. Used by sign writers, stage crews and artists. Must be used over Coo-Var Glocote Foundation Base.